QUICK READ: Savvy Americans are qualifying to get a huge 40% discount on their auto insurance costs thanks to the New 2019 auto insurance State Program. There is absolutely no cost to see if you qualify. Click Here instantly to see if you qualify. Everyone knows China has capital controls, but most don't know about China's capital controls. They're a set of restrictions on converting yuan into foreign currency. A requirement since the yuan is basically Monopoly money outside of China, since it's not convertible…yet. Each Chinese citizen is allowed to convert up to US$50,000 per year, per person. If that number seems low to be purchasing prime real estate, it is. The benchmark average for a property in Vancouver was CA$897,600 (US$689,805) in December2016. Foreign buyers don't have verifiable income by Canada's standards, so they need 30% down. This works out to CA$179,520 (US$137,961) – more than 3x the amount that can be converted and exported. So how do you get more than that out of the country to become the largest group of foreign property buyers? Smurfing. Smurfing is a controversial process where a large amount of money is wired in small sums. These sums are designed to be small enough to avoid the scrutiny of financial regulators. People get family, friends, strangers for a fee, underground banks, etc. to transfer the money to separate bank accounts abroad. Those separate bank accounts are then assembled into a downpayment. The process repeats until you run out of money or the house is yours. It's a soft-form of money laundering, but the money isn't necessarily ill-gotten. Since there's nothing to demonstrate the money is from the proceeds of crime, the Canadian government is more than happy to have the money flow in to Canada. This all changed January 2, the first business day of 2017. The People's Bank of China (PBoC) and The State Administration of Foreign Exchange (SAFE) surprised citizens and banks by adding new barriers. Citizens exchanging currency now need to provide a declaration explaining an acceptable use. The US$50,000 limit remains, but banks are now required to report transfers greater than ¥200,000 (US$29,000). Exchanging currency is now prohibited for buying bonds, “insurance-type” products, and real estate. New penalties were also rolled out if you're caught lying, or lending your allowance. Violators of the policies are now subject to a 3 year ban, and an investigation for money laundering. Keep in mind, money laundering in China is getting money out of the country without an approved use. So it's not the supervillain laundering crime money that comes to mind when you hear the term. For the most part, these are just regular families looking to move their money abroad. This will impact real estate around the world, but Vancouver is a particularly popular place for Chinese buyers. Using the foreign buyer data from the B.C. Ministry of Finance, we can see 4,515 units bought between June 2016 (the first month tracked) to November 2016 (last point available). The average price of units during those periods is CA$1,012,372 (US$776,091), around 14x the median household income of a BC family. Not exactly chump change that can be absorbed domestically.Some quick back of the napkin math explains how Vancouver real estate is in for a ride. Foreign buyers provide a 30% downpayment, which at the average would leave CA$708,000 (US$542,757) on a mortgage. At 4% with a 30 year amortization, you're looking at CA$3,369/month (US$2,582) before taxes, maintenance, and insurance. That's CA$40,428/year (US$30,975), also known in China as 13,000 yuan too many to not be reported by your financial institution. Not every one of the 4,515 buyers is going to default, but that's the tip of the iceberg. B.C. has only been tracking foreign buyers for 6 months, and Vancouver has been a popular destination for Chinese buyers for much longer. The number of foreign homeowners that need to evade capital controls is likely much higher, and will be subject to the same barriers. So unless someone is working on an Uber for money laundering, Vancouver's going to see a fire sale. Still skeptical this will impact Vancouver real estate? 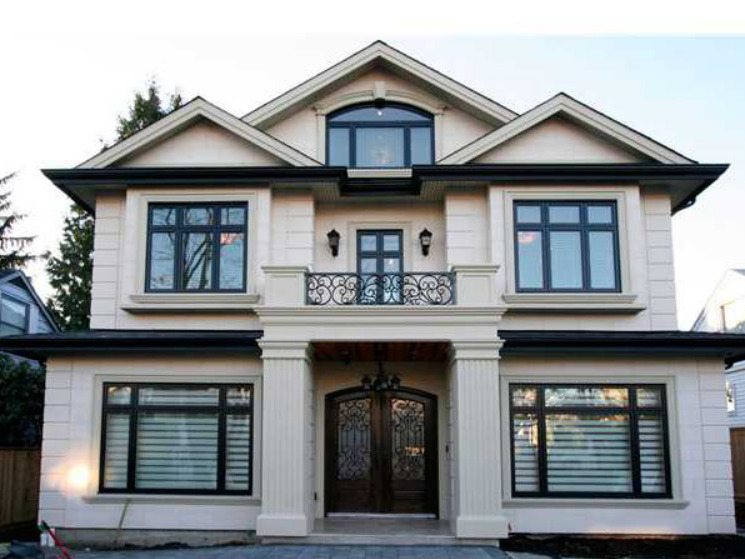 There's currently 1,777 listings in the Greater Vancouver Region for sale. January saw 179 price reductions, roughly 1 in 10 in properties. Although I'm sure somewhere a Realtor is saying it's a Chinese New Year sale. We're building a different kind of news outlet – one that aims to stimulate discussion rather than direct it, but we need your help. Like this article? Share it with a friend. Hate it? Give us a tweetand tell us why. Like us on Facebook to be notified when the next post goes live. Copyright 2017. Follow Better Dwelling on Twitter.